"Quality Service..." It's a phrase all of us here at All Florida Title pride ourselves on...Our services are second to none in the industry and our pledge to you and your clients is to always "Go The Extra Mile". In the financial industry today, using every available advantage offered to you may be the difference between watching a potential loan walk out the door OR closing at the table that same day! Closings at client residence, brokers office, "Anytime, Anyplace, Anywhere" in the entire state of Florida. Ownership and encumbrance reports to full loan closings, and escrow services. Dependable, professional staff to provide you with payoffs, homeowners, insurance, surveys and termite inspections. When dealing with strict time constraints for your closings, you NEED a company that will "get the job done." All Florida Title IS that company. We do what it takes, accurately, efficiently and professionally. Customer satisfaction is our #1 priority!! Our office is fully staffed with experienced professionals ready to assist you with ANY of your title needs. We look forward to a lasting, mutually beneficial relationship. "When it comes to title companies there are lots of companies that talk a good game, but All Florida Title really does a fantastic job in meeting the needs of their clients. They are timely, knowledgeable and very responsive. I would highly recommend All Florida Title to anyone who is looking to purchase or refinance a home. " ~ Richard Williams Senior Loan Officer NMLS# 164415 Embrace Home Loans, Inc.
"As a real estate broker, having a smooth closing is the most important part of the sales process. This is why we love working with All Florida Title. The All Florida staff is professional and the communication is great. Prices are also very competitive. If you need a title company that gets it done, All Florida Title is the one to call." "I have been working with The Team at All Florida Title for many years now. They have always been proficient, wel- organized and professional! I speak from experience when I say this Title Co. is unmatched when it comes to closing Real Estate transactions. Five-star service from conception to delivery!" ~ Jeff Jay, International Property Professionals, Inc.
"I've been working with All Florida Title for over 20 years and their team of associates. They understand the importance of customer service and are always accommodating to close anytime or anywhere for my clients. They never disappoint and I would recommend them to any mortgage or realtor professional looking for a partner in the real estate industry". 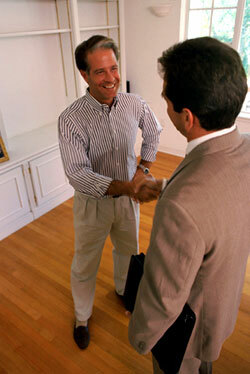 "All Florida Title is the best Title Company that we have ever had the pleasure of doing business with. It is very important to have a reliable Title Co. that you can depend on to get things done for you. Over the years, we have worked with dozens of Title Companies, and there is no comparison. The customer service is flawless and when we need anything, All Florida Title is right there to get it done. As a mortgage company, it has been nice to know that we have a dependable Title Company who is willing to do WHATEVER it takes to close loans and make it a pleasurable experience for our clients and ourselves. Thank you, All Florida Title!" "All Florida Title has been providing professional title services to me since 1998. They provide fast, friendly, and organized service. I close loans all over the state of Florida and All Florida Title will even travel to my client's homes to make their closings ultra-convenient. The staff is well trained and they all perform their roles to perfection. The owners, managers, and employees work with me directly and routinely go above and beyond. Thanks Guys!" "All Florida Title has been a preferred business partner for over six years. Their unparalleled customer service and flexibility have always kept us coming back without hesitation. Now, as our business is working through its infancy, they are still there providing the service level that has made them such a valuable partner over the years. We can't imagine not having them with us during our growth as they are an integral part of our success."